Brendan Rodgers brings his Liverpool side to the Hawthorns weekend with at least one thing in common with Tony Pulis and his Albion side – the ignominy of losing to Tim Sherwood’s Aston Villa in the FA Cup. And while the press laud Villa’s “saviour” despite them being somewhat short of safety, Rodgers’ and Pulis’s teams will battle it out on Saturday with only the league to occupy their thoughts, one looking to solidify a place in Europe, the other to further secure another year at the Premier League’s table of riches. While Liverpool are looking to recover from their semi-final defeat at Wembley, the Baggies returned from their trip to London with an invaluable three points from Selhurst Park, a result which surprised and delighted the author in equal measure, particularly given the previous two performances, but also raised the hope that Albion could get another positive result this weekend. The visitors really need a win to keep alive their hopes of finishing in the top four. The first meeting between West Bromwich Albion and Liverpool was in September 1894 at Albion’s Stoney Lane ground which the home side won 5-0 thanks to goals from Billy Williams, William Richards, Tom Hutchinson, Roddie McLeod and Billy Bassett. 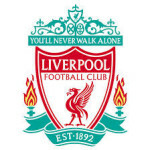 The Reds won the return fixture 4-0 at Anfield but were relegated that season and, at the end of the following season, the two clubs met in the forerunner to today’s play-offs, known as Test Matches, to determine whether Liverpool would be promoted back to Division One and whether Albion would be relegated to Division Two. In the end, with both games finishing 2-0 to the home side, results against Manchester City and Small Heath meant both Albion and Liverpool ended up in Division One. After the Baggies moved to the Hawthorns in 1900, Liverpool took a liking to the venue winning three of their first four visits, and it wasn’t until January 1912 that Liverpool suffered defeat at Albion’s new home, a 1-0 win for the hosts thanks to a goal from Harry Wright. The two clubs memorably met in the quarter final FA Cup in 1968 when it took three games to separate the sides. The second replay, held at Maine Road, finished 2-1 to the Baggies with Astle and Clark scoring for the eventual Cup winners and Roger Hunt for Liverpool. Albion’s biggest win over Liverpool came in February 1936 when the great “Ginger” Richardson grabbed a hat trick, Stan Wood got a brace and Jack Mahon also scored in a 6-1 win. As for Liverpool’s biggest win at the Hawthorns, most of us will remember the Michael Owen show in April 2003 – he scored four in a 6-0 win (Milan Baros got the other two) making him the second highest scorer at the Hawthorns that season behind Danny Dichio! That was Liverpool’s first visit to the Hawthorns in the Premier League, although the clubs had met at Anfield earlier in the season when Joe Murphy saved Michael Owen’s penalty with his first touch after Russell Hoult had been sent off. That hadn’t been enough to save the Baggies from defeat, however, and it was the start of a run of nine Premier League games against Liverpool which ended scoreless and pointless for the men in stripes. That run finally came to an end in April 2011 when former Liverpool boss Roy Hodgson guided Albion to a 2-1 win at the Hawthorns thanks to two penalties from Chris Brunt. Albion’s only other win over Liverpool at the Hawthorns in the Premier League came on the opening day of the 2012/13 season when a screamer from Zoltan Gera was followed by a Peter Odemwingie penalty and a debut goal from Romelu Lukaku to give the hosts a surprise 3-0 victory. Ben Foster is Albion’s only injury absentee, but Youssouf Mulumbu will serve the last of his three match suspension for the red card against QPR, and André Wisdom is inelligible to play against his parent club, not that he was likely to get anywhere near the first team! Sébastien Pocognoli has stated this week that he is just as baffled as to his exclusion as most Albion fans are, but I doubt that is likely to endear him to Mr Pulis, and I expect the same back four as last week. Liverpool have a few on their injured list including Daniel Sturridge, Mamadou Sakho and Lucas Leiva. Jon Flanaghan is on the road to recovery but won’t be ready to face the Baggies, although Adam Lallana is fit to play. Rodgers may go for his “strikerless” formation as he did against Villa last weekend, but I expect to see Mario Balotelli at some point. After two dreadful performances and some tactical decisions that I believe were questionable at best, Pulis and his team rediscovered their impressive streak at Selhurst Park last weekend. If they can repeat those levels of performance, I think that Albion can get a result against Liverpool. Brendan Rodgers’ Liverpool seems to lack a “Plan B” when their high tempo, high pressing game fails to break down the opposition, and if the Albion defence can keep them out early on, the Baggies can get something. With a bit of luck, it could even be three points, but my money would be on a draw.